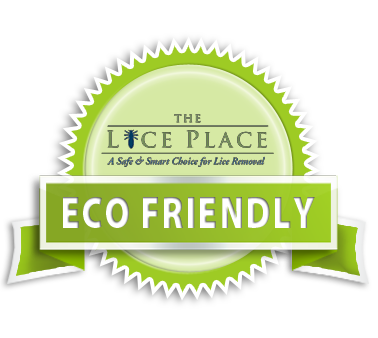 The Lice Place offers the most affordable lice treatment services and products. You can use our Bessemer, AL Lice Treatment Products at home to get the most effective and natural treatment for head lice and nits. These products are formulated with natural ingredients, like peppermint, mint and Neem, oil and offer a natural defense from future lice infestations. Order our products today to get clean, healthy and lice free hair. We offer TLP lice-removal kits that include a mint spray, lice removal gel and terminator comb. We have also developed TLP shampoo, conditioner and mousse that you can use on a regular basis. These products will not only provide you with lice free hair but will also make your hair shiny, smooth and healthy. These pesticide-free, non-toxic products do not contain any harsh chemicals. Even children and people with sensitive scalp can also use them easily. The Lice Place is a well-known name in the area. We are a well established company and have years of combined experience. Over the years, The Lice Place has provided countless numbers of children and adults with high quality lice removal services and products. We are the only company in the country that is owned and operated by a registered nurse. In addition, we are also a proud member of NALTP and are held by the highest professional standards. With us, you will get the safest and the most effective cure to your head lice problem. Our clients trust us for our honest work ethic and affordable price range. We also offer professional guidance in preventive methods so that you can keep your family lice free for years to come. Call us today to get your apartment scheduled. If you have any questions about our Bessemer, AL Lice Treatment Products, you can call us at 205-424-5165. We are always available for your assistance. We are here to help families stay lice free.